Jason Hartman invites online marketing consultant Joseph Bushnell to today’s Speaking of Wealth show. Joseph does a dive into the five key things he looks for in a successful marketing funnel and talks about how you can attracted more customer opt-in emails to your business. In the show, Joseph talks about some of the differences between popular marketing funnel builders as well as shares some important tips on how you can succeed in funnel marketing. 17:31 – There’s really no fixed price in hiring copywriters. New copywriters are more likely to cost a lot less than the professionals. 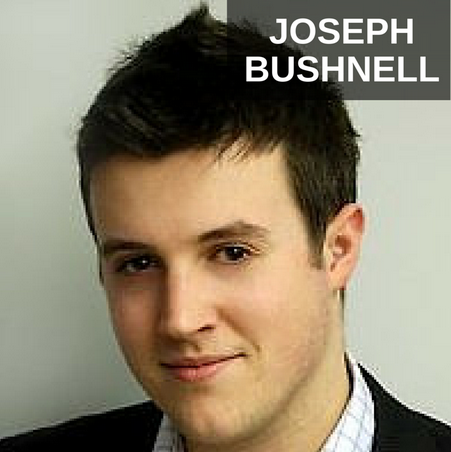 It’s my pleasure to welcome Joseph Bushnell to the show. He is an expert on funnel building and online marketing. Today we are going to talk about some of the big missed opportunities that many marketers are making and how they can exploit them and take advantage of them. We’re going to compare and contrast some different systems and software and services out there that’s available to marketers, probably some stuff you’ve all heard of, and what Joey likes best and why and it’s just great to have him on here. Joey, welcome, how are you doing? Jason, thanks for having me on. I’m doing great. Good, good. So, people if have a traffic, a conversion, a profit problem, a knowledge problem or an action problem you can help them, right? Yeah, absolutely. That’s, I guess, the five key areas where I consult with people, Jason and help them if they’re not making money for some reason. It’s bound to be in one of those five areas. Absolutely. Well, first of all give our listeners a sense of geography and obviously you have an accent. Where are you located? I’m located just outside of London, UK. The place Guildford that’s probably not known to many, Jason, but it’s just southwest of London. So, how do you solve these problems, Joey? Well, usually when someone comes to me, Jason, we get on a call and, first of all, just discuss everything, everything where their business is at this point in time, and, like I said, I go through these five areas and just a quick run down that. It could be a traffic problem, you know, they’re not getting enough leads, they’re not enough hits on their website or landing pages, so that is often a key issue. Even more commonly a key issue is conversions, so people often have traffic but it’s not converting and if your traffic isn’t converting then you’re losing money and you’re wasting time. So, that’s really a big one is that you got to make sure if you’re driving traffic and if you’re getting leads that people are coming up the other end as paying customers. Another key area is the lifetime value of customers, now this isn’t a particularly huge problem, Jason, necessarily, but it is something that I like to look at anyway because sometimes it is and what I mean by that is how much is each customer is worth to you and do you have a way to increasing that. Can you offer them other products, can you offer them products at higher prices, that kind of thing. And again, a lot of business owners haven’t necessarily thought about this. So, that’s an area as well. Sometimes it’s knowledge, sometimes they literally don’t know what to do, and if someone doesn’t know what to do then they need to get the training, they need get a mentor or whatever it is to be able to know what the next steps are and sometimes it’s an action problem, Jason, sometime people are bottleneck-ed within their own business. They’ve got so many things to do, not enough time to do it, and the key to this is delegation. It’s getting help basically, getting other hands on deck to help you out in your business and delegate the work that you don’t need to be doing. Now with a small business sometime that can be difficult, you know, scaling a business that can be one of the problems that happens during that period. So, if someone isn’t currently outsourcing or doesn’t have, you know, employees then that’s something that I would help with as well. So, there the five areas that if someone isn’t making money when they first come to me that’s what I would look at and based on that what we find in those five key areas we will make some decisions. So, yeah, hopefully that answers that question. Fantastic. Well, Joey everybody’s talking about funnels. I mean, every internet marketing conference I go to, every podcast I listen to, it’s, you know, funnel this funnel that. It’s got to be the most like over used word in the marketer’s lexicon is the funnel, but maybe there’s a good reason for it, funnels work, right. So, there are different funnel building software out there, there are many of them, you know, I’ll just mention ClickFunnels; Russell Brunson product, LeadPages, of course, OptimizePress. Tell us your thoughts on these different platforms. Sure. Jason, you’re right in what you said it’s the buzz word of 2014 and 2015, but for good reason, it’s because you really need a marketing funnel to able to convert well. Most people aren’t going to buy the first time they come to your website, they need to see a little more than that and generally what you can do with the marketing funnel, you can – it’s almost like a sales letter, but cut up into smaller chunks that people can digest and get educated about how you can help them and then make a buying decision once they’ve gotten to know you and trust you a little bit. So, that’s the reason for having a funnel and a lot of businesses don’t have this in place and that’s why you wanna have that in place. So, to answer your question about the three tools that you mention there, I actually like all three of them, but for different reasons. So, I wouldn’t necessarily say that one of the three is superior to the other. They just have different uses. OptimizePress is good for creating entire websites, Jason, so you can have OptimizePress as the theme for your entire website and you can have a blog, and you can have some op-ed pages and that kind of thing. So, OptimizePress is good for an entire site if that makes sense. You know Joey, the other one I wanted to ask you about and I’m not sure if you’re familiar with it or not, but it’s the Rainmaker Platform. I had the Copyblogger people on the show before. You know, that’s seems pretty interesting like this full solution kind of concept. In fact, it’s funny even to say that cause for my real estate investment company our tag line is the complete solution for real estate investors and people love it when you can just have a complete turn key solution that does everything and I think that’s what the Rainmaker people are attempting to do, I’m not sure if they have been successful at it or not, is that really a good comparison with OptimizePress? If you’re familiar with it, and feel free to mention any other products and services too. I only started it with those three. Sure, sure. Well, I unfortunately I don’t know enough about the Rainmaker Platform. I believe what you said is right that it is comparable but I don’t know. I don’t know for sure, so I wouldn’t like to make a comparison there, but really between ClickFunnel, OptimizePress, and LeadPages they are pretty much what I’ve always used and like I said for different reasons. You know, different times, different reasons. So, OptimizePress is good for when it’s a whole site. LeadPages is great for individual pages, so if you wanna, if you’re setting up a webinar, Jason, then you can set up a webinar registration page with a thank you page and get people into your funnel that way. If you want to give people a free report you can, there’s lots of different templates there where you can do that. If you want to give people a video, if you want to get people to come watch your, listen to your podcast. Actually, they got a podcast page which helps people too leave reviews on your podcast. So, they’ve got all these different types of pages, but they are all pretty much all based around one thing and that’s getting an op-ed or a sell. So, they have all these custom built templates and that’s what LeadPages good for. It’s not good for a whole website, you wouldn’t want your whole website, you know, your entire website to be made out of LeadPages. They don’t really connect up to each other in that way. It’s not good blogging or anything like that. It’s kind of surprising that LeadPages hasn’t caught on to that, it seems like they have to do a relatively minor given all the different pages they have now amount work to really create a true funnel solution. I think it might be on the way. I mean, I don’t for sure, but.. I would guess that it is. I would guess that it is because the next one we will be talking about is ClickFunnels and what they have done with ClickFunnels is kind of taking it to the next level where they have the templates, but they also have more than that it’s got an autoresponder built in, but it’s also, you know, you don’t have to use that one you can use Infusionsoft or whatever it is you’re using, AWeber or whatever it might be, but it’s also got an automated webinar platform in it as well and it’s got a lot of different features added in. The good thing about ClickFunnels is it’s very point and click simple, Jason. You can create an entire funnel and it is all lined up and it’s in a sequence and it’s all ready to go where as with LeadPages there’s a little bit more to do than that, you have to wire certain things up yourself. So, I think, but having said that, I love LeadPages still. I’ve use them for a long time. I’ve use them a lot longer than I’ve use ClickFunnels. So, I think that they would probably take a note of what ClickFunnels are doing and will come up with some new innovation. I would hope and expect over the next few months. OptimizePress vs. ClickFunnels, I think that’s really the main discussion here because LeadPages is in a sightly different category. What do you think about those two? You must have one that’s a favorite, maybe you don’t want to tell us, I don’t know, but what do you use most? For funnels, I would use ClickFunnels because it has everything that you need there ready to go, but, like I said, for just a website with other features on, like a blog for example, then OptimizePress because it’s a theme as well as other things. So, but yeah, if we are talking specifically funnels then I think ClickFunnels at this point of time is pretty hard to beat. In terms of best funnel building practices, take us through some of those. I mean, you know copywriting, setting up that sequence, deciding on the offers, Joey, there’s a lot to do here, and that’s why people don’t do it themselves, right? They hire consultants. Yes. Yeah, absolutely. Well, first thing is the front-end of the funnel, Jason, you’ve got your, what they call a lead magnet and that’s where you’re offer something of incredible value to get people to sign up, that’s to get to the lead in the first place. So, what you’re offering need to be really, really good and the difficulty is nowadays is if you rewind back a couple a years ago, Jason, it was quite easy to get opt-ins, people would just willy nilly hand over their email address and they wouldn’t be too bother about it. Times have changed. It’s moved on a bit now, it’s a bit more sophisticated, we’ve all gotten a bit more used to internet and how it works, we know what to expect now. So, people don’t just hand their email over for no reason, it’s got to be a really compelling reason. So, whatever it is, whatever market you’re in, just try to have something that really stands out and is unique. If it’s something that’s me too and they’ve seen dozens of times before, you’re not going to get that opt-in. So, that’s something you really want to think about is what can you give away as a lead magnet that’s incredible valuable to your market that they haven’t seen before, that’s really the key. Hasn’t everybody seen everything by now. Yeah, well exactly. That’s the way the creative comes in, Jason, is knowing that’s going to be different for market and what they’ve seen before and what they’ve haven’t seen before, that’s the big question, but it’s what you got to somehow figure out. One way to do that, is well, obviously is market research. A lot of people don’t do market research, but it’s really, really key because when you do market research what you will find out what they want. What your customers and your prospects really truly are wanting. So, if you can get, you can do some market research and ask people what they do they really want to know, what’s really their biggest problem right now and how you could help with that. They’ll tell you and that’s a good place to start building a lead magnet. So, that also moves into the next part of the funnel, Jason, you mention copywriting and when I first starting marketing I thought copywriting was all about clever words and, you know, being good with words and that kind of thing, but actually copywriting is more about understanding who you’re writing to and again, that’s where market research comes in. So, in the emails that follow when someone is in your funnel you want to be writing to them about the things they care about, the things that matter to them, and is addressing their pain point, I guess, their problem of some kind that they have that you have a solution for. So, that’s what copywriting is about, it’s really about understanding your market and then communicating how you can help. So, that’s what you’d do in the follow up emails and it doesn’t have to be just emails it could be a variety of content, it could be videos, it could be webinars or Google Hangouts, lots of people have to do Goggle Hangouts now, but whatever it is you do just make sure that it’s all based around fixing people’s problems. Yeah, definitely, definitely around fixing people’s problems. Any thoughts on where to get good copywriters or how to become good at it ourselves? I’ve got some, some resources myself, Jason, I’ve got a big list of best copywriters and best copywriters resources that I’ve been able to find and that’s on my blog would probably include a link to that or something. It’s called the 182 Greatest Copywriters or something along those lines, it’s quite awhile since I wrote it about two years ago. Tell people where they can find that Joey. Yeah! So, it’s, I have to double check it cause I’m on the spot, but it’s on my website josephbushnell.com and it’s something along the lines of 182 Greatest Copywriters of the Internet Age or something along those lines. Fantastic, that’s quite a list to do. Did you compile through trial and terror? Well, it was, it took me about a six weeks to research it properly, and, well actually it, if I rewind back before that I’ve got a podcast as well, Jason, and I interview a lot of top copywriters. So, over the years I’ve accrued a lot of relationships with the best copywriters in the world and others as well that I wanted to interview, but you know for whatever reason haven’t interview. So, I had a big list already but then I went out and research each and every single person, went through all their websites, their blogs and everything, and then what I’ve done is put them into a big list and I pointed people in the direction of their courses, their blogs, their free reports or whatever it is they might have, so that people can go and find it. So, it’s a really big list it got a little bit of attention at the time, it’s probably one of the most successful blog post that I’ve ever done. Do you segment that at all by cost or prize? What’s the best way to pay a copywriter? I’ve just it to be very frustrating cause it’s just all over the board, Joey. I mean, I pay bloggers and writers per word and it’s really simple, you know, or I’ll pay bloggers a flat fee, but you know when it’s in the area of copywriting that’s sort of a different genre, they charge much higher prices than writers, if you will, for direct response copy and the prices are just all over the board, you know. Yeah, I mean, it’s, there’s no direct answer to that, Jason, only that the really good ones can afford to charge that way, because what they sell isn’t about, you know, being a good wordsmith it’s more about, well what they’re really selling is return investment. So, if you pay a copywriter 10,000 dollars, 20,000 dollars, but they write you a sale letter that bring you in million dollars in the first year then you’ve got a great return of investment. So, it’s, some copywriters charge extremely high because they know that they can and they are in demand and people refer them and others that charge not so much. I would imagine they are probably newer to it. It’s not that you can’t find talented copywriters for that price, but you might have to kiss a few frogs before you find a prince. Right, as the saying goes. Definitely, definitely. Okay, good, good stuff. What else do you want people to know that I haven’t asked or you just haven’t has a chance to say it, yet, Joey? I would say, as much as you can in your funnel to include as much proof as you can, so if you have a, you know, include case studies about how you help someone that’s really, really key piece of a funnel and in any copywriting of any kind is you want to show examples, you want to show proof, and that would help people be able to make that buying decision that they feel that you can indeed help them. So, that’s just a huge thing and one thing that especially when people are new or maybe they don’t have those results yet or they don’t have those case studies, maybe sometimes they never asked for testimony or a case study, but if you don’t have that right now make it your goal to get that even if that means you help people for free. It’s chicken and egg, right, you can’t sell unless you’ve got proof, but you can’t get proof unless you’ve sold to someone and done something for someone. So, if that’s an issue for you right now do an exchange of some kind just say, “Hey I’d love to help you all I want in return is your case study and let people know that I could use. So, let other people know how I help you and I know how to use this in my marketing.” And you will find that people are very forth coming and I’m not saying to do that a lot. I’m not advocate for working for free. I mean, I think as a general rule it’s a bad idea, but just for this one instance just to get your proof you can do it, and try to get at least, you know, three or four of decent proof that you can put into your marketing funnel and it will really, you know, you will get a lot of return on investment for doing that. So, whatever it is you do, how ever you help people make sure you have some proof and put it into your funnel and do that whatever it takes, even if that’s, if you’re listening to this and thinking well I don’t have that, that’s, well get it somehow get it, and that will be really key element of a funnel that works. Yeah, Nick Unsworth says that pretty well. He talks about the anchor client concept and how he worked for Frank Kern for free doing his social media just because he knew that if he got Frank Kern as client, you know, that would be really beneficial to be able to say to other marketers here a big name guy that I got as my client and I helped him. That’s an awesome testimony obviously from someone as big, with as big as a name as that, but take us through just before you go, Joey, can you just summarize the steps of the funnel again? I know you kind of allured to it but we got lost in conversation. I just wanted people to get the simple overview of the funnel has, you know, step one, two, three, four, five, right? Oh sure, yeah, I was just at Traffic and Conversion. Yes! So, you would heard their, now I don’t know, I don’t particular like this term, but they called it a trip wire, but that’s a good, you don’t have to have that, but what it does do, well there’s two things that does is it can pay for your traffic, so it’s a self-liquidating offer. So, let’s say you have a fairly low price offer at the front-end of your funnel that can pay for you to run Facebook ads, or Twitter ads, or Google ads, or whatever it is that you’re running. So, having that low price offer at the front-end of you funnel can help to pay for your traffic and then everything that you make, all the, you know, any money that you make from there on in your funnel is hopefully going to you, you know, minus other expenses, but in theory, you know, you get to sort of keep the rest. So, that’s one thing about trip wire, the second thing is, again in theory, once someone has bought from you from the first time and they’ve, it’s been a successful transaction they have enjoyed and consume what you have given them, they will much more likely to buy from you again from the future, and this is true you know if you look at your own customer base you’ll see that you have repeat buyers, and once you have sold to someone once before you don’t have to sort of keep reselling them, they will come back to you cause they know they can trust you and that you deliver. So, it can help also to transition people from a prospect to actually a paying customer, even though they are only paying possibly a small amount of money. So, that’s an optional thing, I don’t always build that into every funnel, every funnel I take on is unique, and the strategy is different depending on what they have to sell, but that’s one thing you can include. The next thing you would definitely would want to include is a sequence of emails that nurtures your prospects so at this point, let’s say, Jason, that they didn’t buy your trip wire then you’re going wanna put them into an email sequence which builds trust and then you’ll give them your offer. Your main offer that you wanting to sell people the whole time, and then from there you’ve got your up-sell as well. Now again I don’t always have an up-sell it deepens if a client something ready to go or not, if they do then we would always have the up-sell as well, so once someone has bought your main offer try to then sell them something else, but if they don’t have an up-sell ready to go then we will develop, you know, generally speaking, we will develop something later on. So, the steps of a funnel would be lead magnet, optional you can have a trip wire or self-liquidating offer, you have your main offer and you have your up-sell, and between all of these steps you would always have a sequence of emails which is taking people to one stage to the next. Yeah. Fantastic. Good stuff. Joey, give out your website again. josephbushnell.com. Got a great video there on the front. So, thank you for joining us today, and giving us good marketing insights. We really appreciate having you on. Thank you, Jason. It’s been a pleasure.